Shadow Play Books, 9780692504796, 332pp. In the second book in the Bruised series, Tracey Peralta and Jason Hylden are back, ten years older and wiser. Well, older anyway. Still living within the clutches of the blood oath from her youth, Tracey now helps the cops investigate strange homicides--those involving the supernatural. 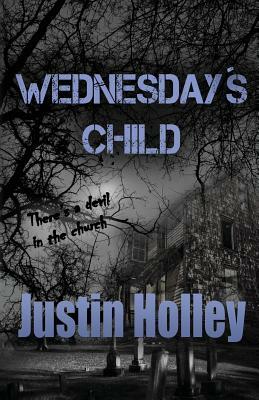 So, when a psychology student, who calls herself Wednesday, spouts gibberish about a devil in the church stealing her unborn baby, Tracey knows her brand of help might be needed. The next day, the student is found butchered inside a pentagram, insides missing, and Tracey must determine if the murder is garden-variety or if the town's demonic forces have returned. When a second psychology student, who calls herself Thursday, disappears and is feared dead, Tracey calls on the only person left alive who shares her traumatic past. Soon, Tracey and Jason become collateral targets of a flesh-and-blood killer with an aptitude for making deals with the dead. Now they have to solve the ritualistic murders or Tracey and Jason might just become the next sacrifice.